Over the course of the past year I’ve found several great sources for fiber optic maps, for both global and African based infrastructure. I’ve decided, at least for my own quick reference to use my blog as a main data source for this information. In a future post I may add other links here, related to ISP’s, mobile providers and telecommunications companies in the developing world. Once again, for my own quick reference – but if this helps others, all the better. This is the one known as Greg’s Cable Map, and is a comprehensive map of the global submarine fiber infrastructure. It’s also made plenty of circulation on Twitter. This first link is from Steve Song’s blog, Many Possibilities. Steve Song is currently a fellow with the Shuttleworth Foundation and focuses on telecommunications and information access issues in Africa. In all the research I’ve conducted, and in some of my contacts here in the US (through Internet2), and abroad – Steve Song appears to be the authoritative voice on fiber infrastructure, on and around the African continent. In addition, Steve is working on some other cool projects, that I recommend you check out if you’re a communications geek interested in development, like Village Telco. This next link is a map of fiber optic cable in Africa, much of this data was supplied by National Research and Education Networks (NRENs) and “friends of the Ubuntunet Alliance“. This was prepared by Donna Namujju and Steve Song. This map is nice, because it’s available in PDF and you can zoom in for additional detail. In the future, I’ll be updating this post with maybe some pointers to country specific fiber maps. 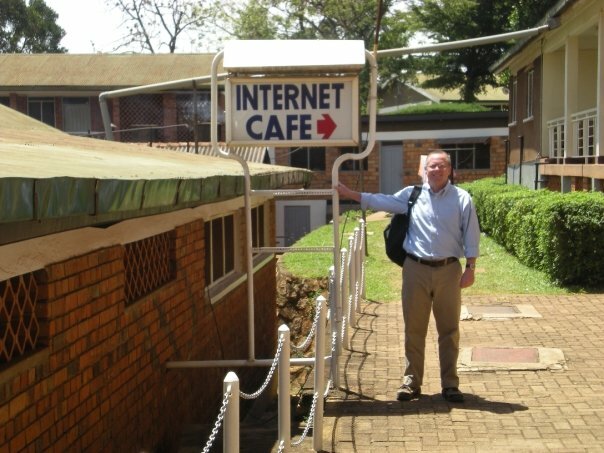 I have to do some digging, but I know I have some great fiber maps for Uganda. Of course the caveat is that these maps are constantly changing as additional fiber capacity is added, both submarine and terrestrial.